Whether you're buying a home, selling your home or relocating to the Tampa Bay Area below are some direct links to some of the most popular communities in our market. 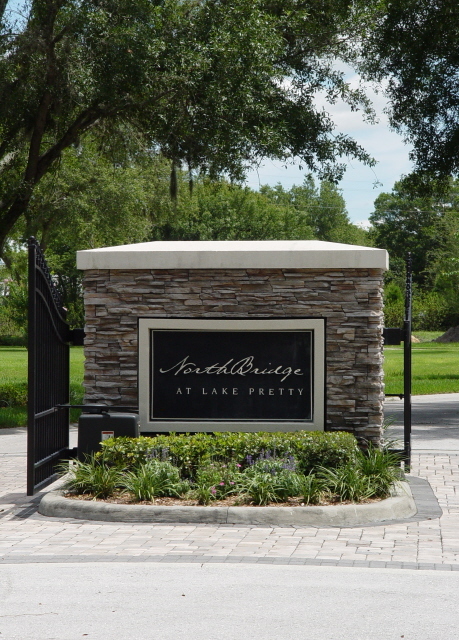 Northbridge at Lake Pretty is a gated Luxury community in Odessa, FL secluded from the hustle and bustle of every day normal life, yet close to the Veterans Expressway, Tampa International Airport as well as various shopping. The ambience is created by the main entry boasting a covered bridge which leads into the gated community consisting of 32 luxury custom homes with a minimum of 1 acre parcels. This prestigious community is surrounded by large oak tress and mossed draped cypress trees and provides community access to Lake Pretty while the LAKEFRONT homes have full access to Lake Pretty for skiing, boating,kayaking and canoeing. Luxurious home w/panoramic views from all rooms in the sought after Bella Rosa Condos in the coveted Clearwater Beach ar .. Elegant masterpiece situated on an exquisitely landscaped 2.33 acres w/water and conservation views in the gated subdivi ..
Last chance to build on this premier lot in the gated community of Dolce Vita!!!!!! Dolce Vita is the only gated communi ..
Architecturally detailed pool/spa home in the sought after Oldsmar Towne Center area with just a short walk to the Bay! ..
Renovated, adorable starter home ready to move in ! This beautiful home boasts appointments including a family room and .. Stunning, remodeled pool/spa home located in the sought after area of CARROLLWOOD VILLAGE!! This exquisite home boasts a ..
Executive style home in the sought after subdivision of South Bay Lakes! This lovely 3 bedroom + bonus/game room home gr ..
Adorable home w/easy commutes to downtown, Riverwalk, Armature Works and all interstates! This beautifully updated home .. Welcome to this immaculately maintained home located perfectly on a spacious corner parcel in the desirable 55+ plus com .. Magnificent 4 bedroom+ 3 bath +game executive style home located on over a quarter of an acre of lusciously landscaped g .. Turn key and ready to move in! Passed inspections twice, but Buyers couldn't perform. Luxury meets elegance in the compl .. Stunning 3+2.5+1 car garage pond front townhome in the sought after gated, subdivision of Westpark Preserve! The beautif ..
Stunningly remodeled beachfront condo w/panoramic views of the OCEAN from practically every room in the sought after Mad .. This spectacularly renovated home features a gorgeous kitchen with paneled white cabinetry, stylish tile backsplash, new ..
Stunningly appointed estate located on over a quarter of an acre of lusciously landscaped grounds in the sought after ar ..
Exquisitely updated townhome in Rosetree Village! This beautiful home boasts appointments including a grand foyer entry ..
Exquisitely REMODELED 3 bedroom + game room (could be 4th bedroom) home boasting appointments including a stunning, upda ..
CANAL FRONT! Seldom available home located on over a quarter of an acre with direct access to East Lake!! This stunning ..
Elegantly remodeled home in the gated community of Whispering Oaks awaits! This stunning home greets it's guest with a c .. Exquisite, beautifully maintained POOL home located in the sought after subdivision of Stagecoach Village!! This stunnin .. Stunning, remodeled condo in the sought-after East Lake Woodlands! This beautiful home boasts appointments including a c ..
Exquisitely remodeled townhome located in the gated community of Providence Townhomes. This home boasts appointments inc ..
Beautiful home perfectly situated on a pond view/conservation lot with palm trees abound in the desirable subdivision of .. This stunning, fully renovated home is minutes from Bayshore Blvd. The grandeur shopping & dining that defines the South ..
Beautiful, remodeled, with high-end finishes 3/2.5, townhome offering a great floor plan in the subdivision of St. Charl .. Exquisite home graced with excellent craftsmanship in a private setting on a lusciously landscaped corner lot! This esta .. Welcome home to this magnificent home that is located right across the street from an adorable park! This 3 bedroom, 2.5 .. Stunning, contemporary estate located on over a 1/3 of an acre of w/astounding water views of Mobbly Bayou Preserve in t .. Absolutely stunning 4+ study home located on a lusciously landscaped, fenced lot in the gated community of Sheffield ! T ..